Before kids go trick-or-treating, try to serve a healthy meal so they’re not hungry when the candy starts coming in. 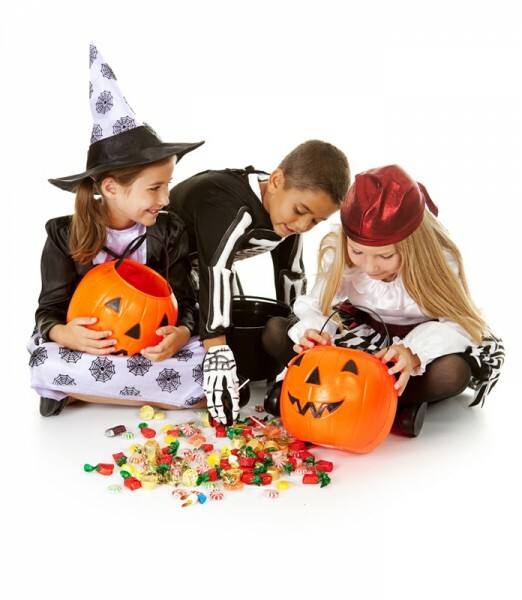 With the chance to dress up in costume and stock up on sweets, Halloween is the highlight of the year for many kids. But since it’s high season for candy, it can also be a frustrating time for parents who encourage kids to eat healthy foods and make sweets a limited part of a balanced and nutritious diet. On one hand, you want to let kids indulge and enjoy the holiday. On the other, you don’t want to undermine all the work you do the rest of the year maintaining a balanced diet and a healthy lifestyle. And you don’t want to confuse kids with mixed messages. 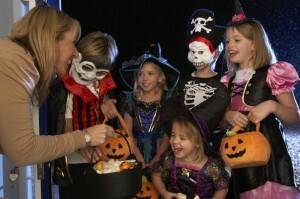 KidsHealth asked parents to share how they handle Halloween. Most mom and dads (82%) set limits using a variety of strategies. Many parents said that after letting kids indulge in some treats right after trick-or-treating, they limit their kids to a certain number of pieces each day or put the candy stash out of reach and out of sight. Of parents who try to limit treats, most said they successfully kept their kids from overindulging. Those who said their efforts failed cited a variety of reasons — from kids finding parents’ secret hiding places to kids creating secret hiding places of their own. A big obstacle, according to some parents, was having different caregivers for kids, from grandparents to babysitters, with different rules for the candy. Just 15% of parents said they offered trick-or-treaters healthy non-candy alternatives, ranging from bags of pretzels to small toys and temporary tattoos. About 37% said they offered toys and candy. Nearly half of all parents just gave out candy. Parents had a number of good tips to share about candy-limiting schemes that had worked in their houses, ranging from using the candy for craft projects to trades with their kids’ dentists for small toys. If a child is overweight — or you’d just like to reduce the Halloween stash — consider buying back some or all of the remaining Halloween candy. 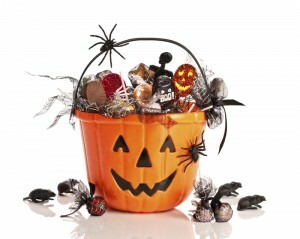 This acknowledges that the candy belongs to the child and provides a treat in the form of a little spending money. Remember, Halloween is a single day on the calendar. If your family eats sensibly during the rest of the year, it will have a more lasting impact than a few days of overindulgence.